Pegmatite is my new favorite rock! Pegmatite is my new favorite rock! 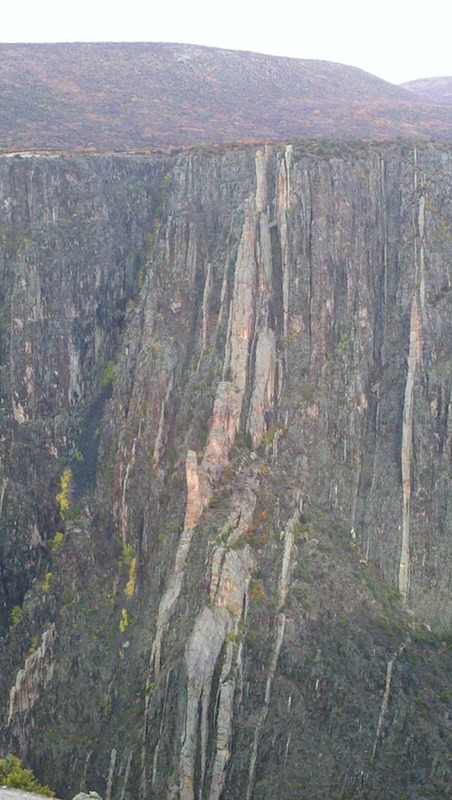 We got up close and personal with this rock type on a recent trip to Ouray, Colorado. We had the great fortune of spending a few hours at the Black Canyon of the Gunnison National Park. It was a most spectacular experience! I highly recommend a visit to this National Park to anyone who appreciates geologic forces paired with natural beauty. It is a ways off the interstate but worth the extra drive time. 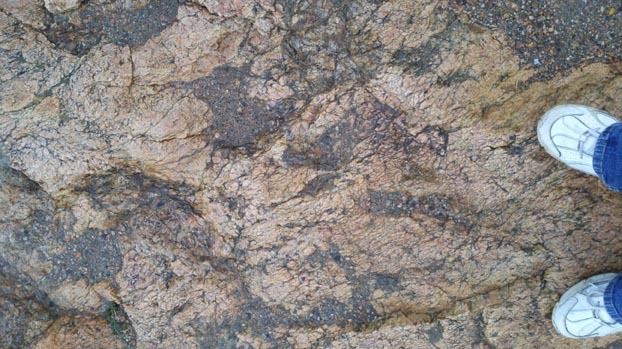 Pegmatite is an intrusive igneous rock. It is formed when magma, the molten rock under the surface of the earth, solidifies while still under the surface. That’s what makes it intrusive. Magma can also flow and harden outside the surface. Lava is an example of an extrusive igneous rock. There are a variety of circumstances which cause the magma to become solid and hard while still under the surface of the earth. Probably the most common occurs when the magma gets close enough to the cooler surface layers of the crust that it begins to cool. As plates shift and cracks open, the magma pockets are forced upwards under tremendous pressure. As the pockets near the cooler surface, the magma cools and hardens. Inside the magma are many different chemicals which harden into crystallized minerals. Pegmatite is a form of granite, but in a pegmatite the minerals are large, well-formed crystals. 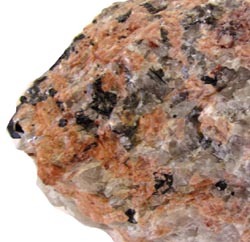 The most common of these are mica, quartz and feldspar, the minerals associated with granite. Often, however, you will find beautiful tourmaline, corundum and aquamarine, just to name a few of the rare earth minerals and gems which can be found in this amazing crystalized magma..
Getting back to the Black Canyon…the short walk out to the observation deck was mostly on the top of a six to eight-foot wide band of pegmatite. From this picture, with the toes of my hikers in view, you can see the rounded, pink rock on which the trail was built. Leaning out over the edge, I was able to get a picture of the sheer cliff walls that had been carved by the swift waters of the Gunnison River. But the most incredible moment was when we realized that this pink rock we stood upon was clearly visible across the canyon. Here, among the pink intrusions, was the very same pegmatite on which we stood, the part between us and the other side having been eroded away by the mighty Gunnison River.